Eastgate Shopping Centre offers all this and more under one roof. Since 1979, Eastgate Shopping Centre has developed into a prominent retail offering, dominating the Eastern suburbs of Johannesburg. 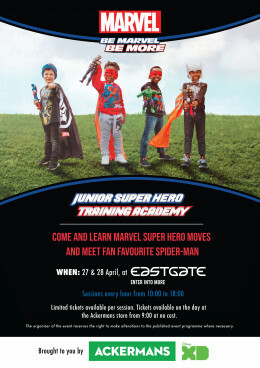 Junior Super Hero training academy on 27 & 28 April.